I am writing to urge you to veto the smoking ban passed by the City Council last week. In its present form it can only hurt small businesses and the very employees the Council claims it wants to protect. Notably Councilpersons Ramsey and Gray wanted more information on the economic impact of this kind of legislation in a city such as ours. I am hopeful that they, along with the other Council members, consider carefully what ramifications the smoking ban as written could bring,. I read the live blogs and the articles covering this in the Times Picayune. I read all 1000+ comments. One kept sticking out to me, and apparently others who commented on it. Richard Rainey, of the Times Picayune, posted: “Bar owners asked the council quietly for a citywide ban because that way bars that want to be smoke-free won't lose customers to smoking bars, Guidry said.” That statement belies the unicorns and rainbows mantra that if all bars go non-smoking the non-smokers will magically take the places of smoking regulars. Clearly the bar owners who “quietly” asked for that unilateral approach knew this to be untrue and cynically asked off the record for something they knew was not a “level playing field” tactic to be implemented. That was patently unfair and frankly a little sleazy. 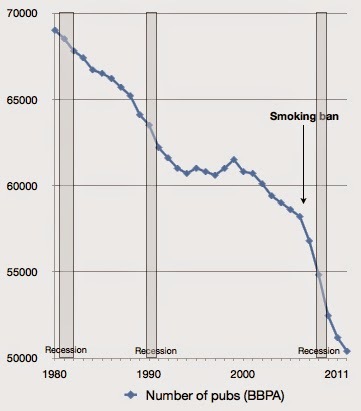 This is not just about smoking v smoke free. This will be about the loss of a lot of small businesses and jobs. The new CZO will be coming up for discussion this spring. Some bars, like Mimi's, Jimmy's, St. Roch Tavern, Buffa's and others, will again find themselves involved in the discussion of music (music having been last year defined as “noise”). Many of them have already invested in sound proofing, security guards, complied with closing times and no go cups in order to assuage the neighbors' complaints. (By the way, Buffa's has a non-smoking back room and Mimi's has anon-smoking upstairs, but not all of these places have that space/ability.) After having spent in some cases thousands of dollars in attorney fees and renovations to comply, they turned to staff and security to encourage people to return to the inside of the establishment. (This is particularly the case with both Mimi's and St. Roch.) Now they will be asked to send their customers outside to comply with the smoking ban, and the circle will go around again with noise complaints. The owner of Cosimo's is also concerned with the neighbor/noise issue. I fear this issue will only be exacerbated by now asking those bars to send their customers outside. Cosimo's owner stated that the vast majority (85-90%) of his customers are in fact smokers. There are other service industry bars that are filled with workers from non-smoking restaurants that come in after their shifts to have a drink and a smoke before heading home. (These are the same folks, by the way, who are serving in restaurants, working in hotels, dealing in casinos to locals and the tourists that our city pays a great deal to draw every year.) Have you ever seen Johnny White's or other service industry bars after a shift changes? Can you imagine the neighbor complaints with groups of people standing outside at midnight-2AM? This is very much not a level playing field as not all bars are able to suddenly create a patio/courtyard. It's also not a level playing field in terms of creation of private clubs, as “in a nod to tradition” Carnival krewe balls will be exempt, but a private club would not be. In an opinion piece written for The Guardian in 2011, the author calls the opinions of people decrying the loss of pubs in England “nostalgia,” and posits that: “It's hard to compete when people's idea of a good Saturday night has now shifted to involve a couple of friends, a bottle of wine and The X Factor. It also removes most of the negative side-effects associated with pubs – drink-driving, antisocial behaviour and aggression are far less likely to manifest themselves when you've spent the evening in your own front room.” The author goes on to say that taxes on liquor have gone up in supermarkets and that there was an influx of “chain pubs” that entered the market on the heels of the old school pubs' closing. After saying that all of that wasn't so bad, the author concedes that: “The real tragedy of pub closures is the number of people losing their jobs. Fourteen pubs closing each week equals devastating effects for families around the country, already hit hard by the recession.” That was 2011 and the pubs continue to close. Is the economy of our city so good that we can afford to lose tax money from the bars and their customers if they follow the trends seen elsewhere. (For the record, after having spoken with friends in New York, Chicago and San Francisco, all say that a. if you have enough money, your smoking will be ignored by the proprietor hoping you'll spend it in their establishment, and b. that some establishments have just ignored the ban completely and willingly pay the fine if caught.) By the way, if the fines are a new idea for raising revenues, then allow the fines to be paid by the bar's customers and leave the liquor license out of it. Are we in such good shape that we can afford to put our local bartenders out of work, or put them in a position where their job and tips can't pay the ever increasing rents in New Orleans? While busily talking about worker protection, the Council seems to have overlooked the issue of the wages that are needed to keep body and soul together. The Casino issue is one that should give us all pause with regard to this ban. The money Harrah's brings in to New Orleans in terms of taxation, ancillary spending and employment is enormous and to cavalierly say that people will show up in droves to take the smokers place and/or not choose to go to casinos in nearby locales is disingenuous. A friend whose circumspect views and common sense I generally agree with said on social media earlier this week that he felt the default should be non-smoking with a permit issued for smoking. While I usually agree with him, in this instance I think the owners of bars already have enough permitting issues to wade through. That said, if that is the only way for some of them to stay in business, as long as the permit wasn't exorbitant and punitive, perhaps that would be a way to go. I still disagree with the idea, but at least the owner would be given a choice: the owner who has built and nurtured that business sometimes for decades; the owner who hires people to work there; the owner who knows his/her clientele. I find the exclusion of cigarettes from cigar bars to be just plain idiotic. The exclusion of e-cigs entirely, I also find idiotic. I remain unclear on whether or not a pipe can be legally smoked in a bar as it appears that cigarettes, and only cigarettes (and the smokers who pay very high taxes for them by their own choice) are being targeted. I am also intrigued that the same people who often note the obvious failure of our government's wasteful and decades long War on Drugs are so willing to now criminalize the cigarette smoker or the business owner who knows his/her patrons' preferences. If New Orleans is going to accept the 2011 UK Op Ed writers' view that an evening at home watching X Factor with friends is a superior choice to going out, or that small bars closing so that chain bars can take their places is better than a neighborhood bar, then we as a city are truly on the wrong path. The pie in the sky “non-smokers will take their place” myth is just that. A myth. 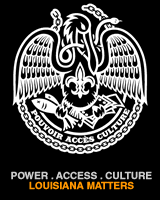 What is not a myth is that non-smoking clubs on Frenchmen are doing fine, allowing e-cigs, and they did that by choice not legislation. Full disclosure: I am a smoker, do not light up in a non-smoking bar, have patronized all but one of the bars I mentioned above. I wrote about the ones I know will have problems. I am sure that there are others throughout the city that will have the same problems if this legislation is allowed to pass as is. I hope you will veto this bill, and consider all the unintended consequences of leaving this decision as currently designed. We don't need to make these businesses suffer, put people out of work or criminalize anything else. We have enough of those issues already. EDIT 1.27.15: "This terrible process started with the ban on smoking. Labour was warned that it would result in pub closures, but went ahead regardless. The people it was supposed to protect – the bar staff – have suffered catastrophic job losses as a result (though this is rarely noticed, as so many bar staff are non-unionised, cash-in-hand foreigners). Labour knew this would happen, as the state of British Columbia in Canada had introduced a similar ban a couple of years earlier and the immediate result had been bar closures and (I have been told) one third of bar jobs lost." That from This article in the Telegraph, written last week.